Opening the UTSA women’s basketball season with a bang, the ‘Runners (1-2) shot down Concordia University (0-1) 78-51, on Wednesday, Nov. 6, in the Convocation Center. The following weekend, the ‘Runners traveled to the University of Maryland, Baltimore County (UMBC) (3-0) on Saturday, Nov. 10, for a loss of 72-58. They proceeded to fly to Seton Hall University (3-0) and fell 84-53, on Sunday, Nov. 11. In the season opener, the ‘Runners shot 40.9 percent from the field with a total of 54 rebounds. Junior Marie Benson set a career-best with 29 total points; she obtained a double-double with 15 rebounds — tying her personal record. UTSA nearly doubled Concordia’s score going into the half 44-24. With this win, the ‘Runners were in high standings for another win. UTSA started off the game strong, taking care of UMBC 21-19 at the first quarter. In the third quarter, the ‘Runners regained their strength by nearly doubling the number of points UMBC scored in the third. Karrington Donald hit a new career high in three-pointers, going four for 11 while the ‘Runners overall were 22 for 62 from the field. At a 1-1 tie for their overall season, the following game against the Seton Hall Pirates had the ‘Runners hoping for another win. Although UTSA went home with its second loss against Seton Hall, the players still showed resilience throughout the game. The Pirates started out strong, scoring 35 points in the first quarter, 22 points above the ‘Runners. 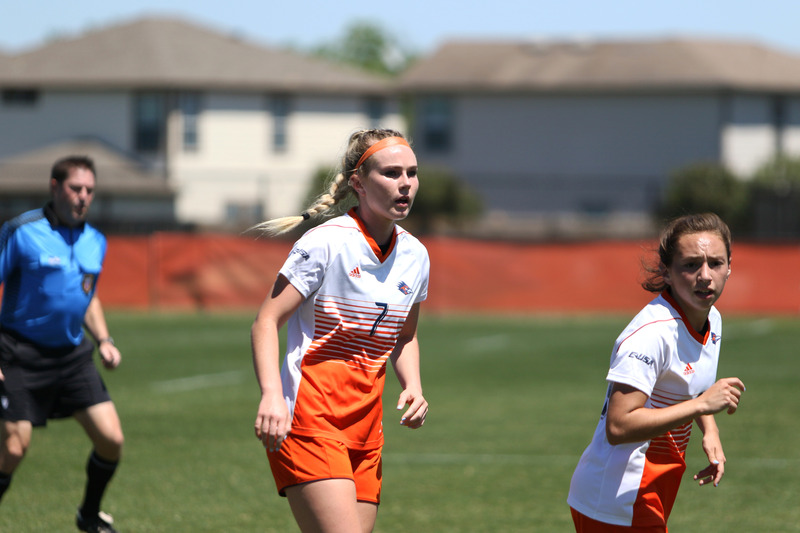 The UTSA women’s team ended strong, doubling the points scored by the Pirates 20-10. Although the ‘Runners outscored Seton Hall in the second half, it was not enough to propel UTSA ahead of the Pirates’ strong lead. 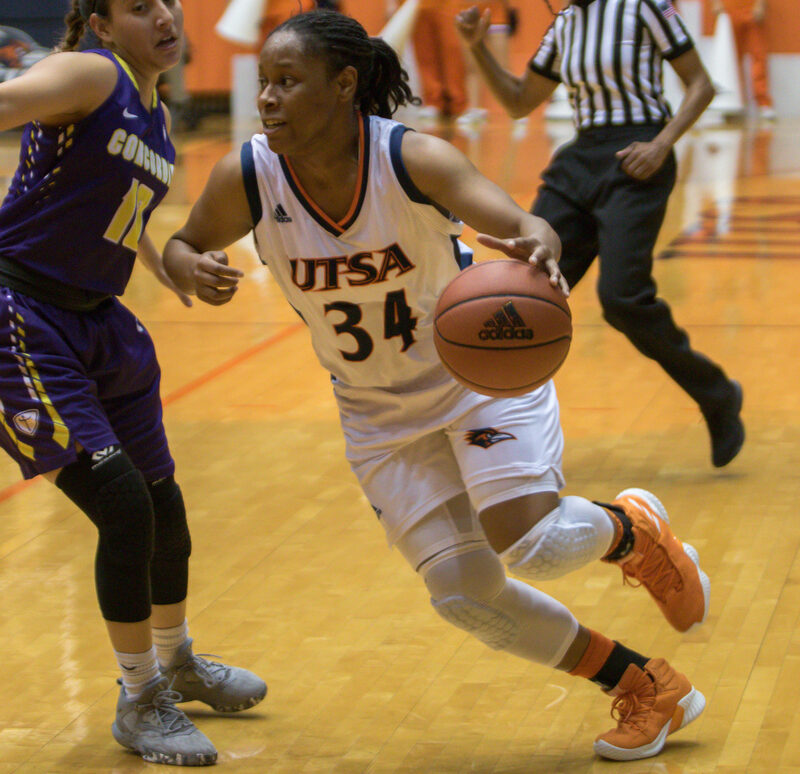 The UTSA women’s basketball team will return to the Convocation Center to face-off against the University of Texas Rio Grande Valley (UTRGV) on Wednesday, Nov. 14, at 7 p.m.